Pest control and disease management are two of the most common issues that trees face and, to the untrained eye, they can both be hard to detect. A certified arborist will be able quickly assess the issue, cause, and offer a solution to address the problem. When left untreated, these issues can contribute to the declining health of a tree, or worse an entire yard or landscaping project. 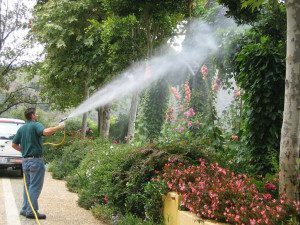 Some services we offer that help address these issues include pruning, soil management, introduction of beneficial insects, and product treatments. For more information about pests and insects that can affect your home, garden, or landscape, see this information from the Integrated Pest Management Program.